February 01, 2019, 11:10 a.m. This month, Gillette achieved the highest uplift in Ad Awareness of any brand in the UK. For years, Gillette’s tag line has been ‘The Best a Man Can Get’, and focused on the traditional masculinity of their target customer. However in 2019, Gillette’s marketing strategy followed a new narrative of social awareness, calling upon men to stand up to bullying and harassment and be an example to younger generations with ‘Gillette: The best a man can be’. Potentially Gillette’s most divisive advert ever, ‘The Best a Man Can Be’ was met with both praise for talking about toxic masculinity in modern society, and condemnation for weighing in on political issues to sell products. In terms of advert awareness however, this move seems to have paid off. YouGov BrandIndex data shows that Gillette’s Ad Awareness score (whether someone has seen an ad for the brand in the past two weeks) improved by a massive 12% - up from 13% to 25% following the adverts launch on the 13th January. However, not all of this increased ad awareness has been positive. As previously mentioned many took offence to Gillette’s advert, which has been reflected in Gillette’s Buzz score (a net measure of whether consumers have heard anything positive or negative about the brand in the last fortnight) which dropped from +4.4 to -1.7 after the advert was release, signifying an increase in negative noise. 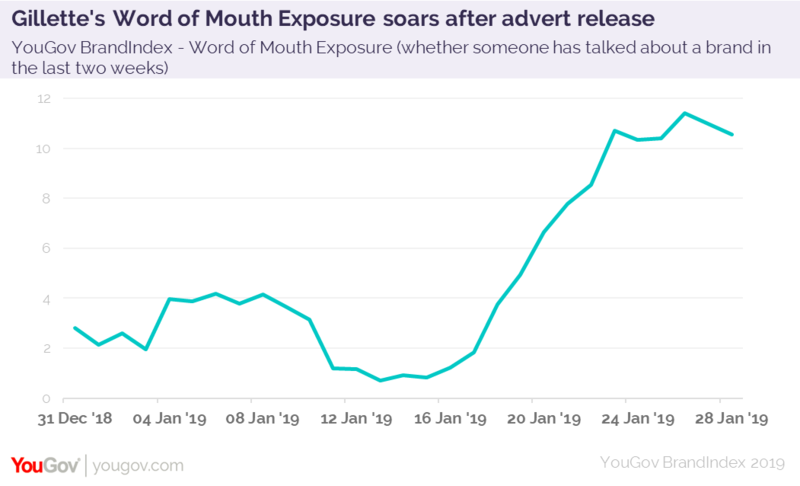 The notable increase in brand exposure from Gillette’s advert, albeit not all positive, has also been mirrored in Gillette’s Word of Mouth Exposure score (whether someone has talked about a brand in the last two weeks). Two weeks after the advert was released, when Gillette’s Word of Mouth score was at its highest, it was at +11.4 compared to +0.9 prior. Although this advert split consumers in opinion, it’s fair to say that the uplift in awareness and word of mouth exposure Gillette received would never have been achieved with an advert that was less topical and risky. 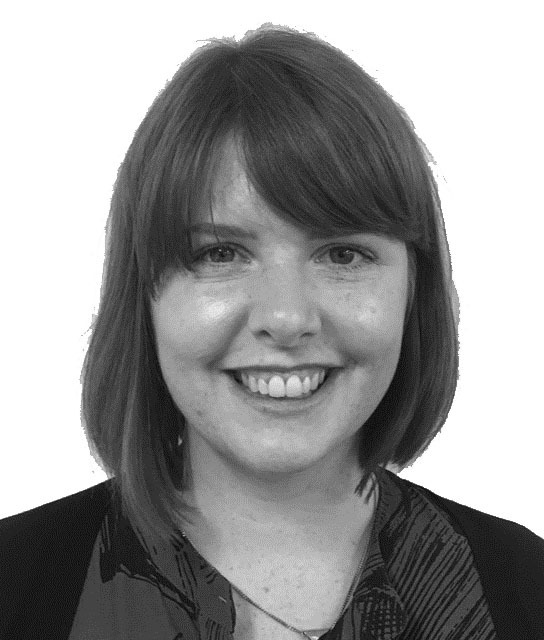 This article was previously seen on WARC.